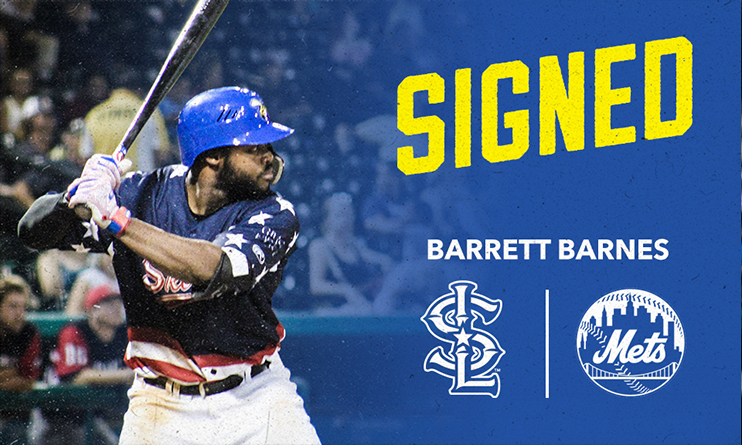 (Sugar Land, Texas, Jan. 29, 2019) — The New York Mets have signed former Sugar Land Skeeters outfielder Barrett Barnes to a Minor League deal. Barnes, 27, spent six seasons in the Pittsburgh Pirates Minor League system, reaching as high as Triple-A. He has a career slash line of .275/.365/.428 in 355 games at the affiliated level to go with 31 home runs and 154 RBIs. Barnes was selected as a MiLB.com Organizational All-Star in 2016, hitting .306/.377/.477 with nine homers and 47 RBIs with Double-A Altoona.